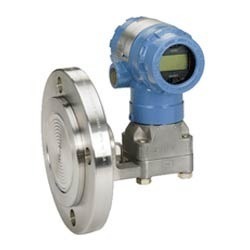 Our range of products include automatic water level controller, float and board type level indicator, capacitance level transmitter, hydrostatic level transmitter, remote seal dp level transmitter and level transmitter. In many homes and other public places, ground water is used, which is pumped up to overhead tanks using water pumps which are controlled by electric motors. 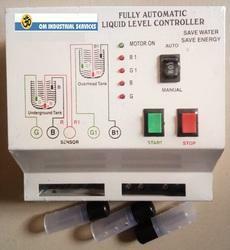 Controlling the pumps is often a necessity to avoid wastage of water. The Water Level Indicator includes a simple mechanism which helps to detect and indicate the water level in an overhead tank or any other water container.The sensing is done by using a set of nine probes which are placed at different levels on the tank walls. Due to its efficiency, accuracy and reliability, automatic control is widely used in chemical processed. Head mounted electronics converts the capacitance variation to 4-20mA signal for long distance transmission. It is provided with trimpots for SPAN and ZERO adjustments. With no moving parts it is free from wear and tear, rugged and robust in construction. No dead zone like float based instruments. It must be ensured that the probe is parallel to the tank wall throughout it's length. kabir make Capacitance type 3 wire Level transmitter Model (CLT-1) with non insulated probes for non-conductive liquids or PTFE Teflon insulated probes for conductive liquids. Frequecy of operation 5 to15kHz. 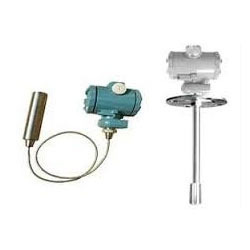 We have gathered a huge customer base in this domain by presenting a comprehensive range of Hydrostatic Level Transmitter. 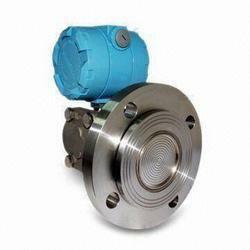 The offered transmitter is specifically designed for measurement of sanitary, and sewage level. 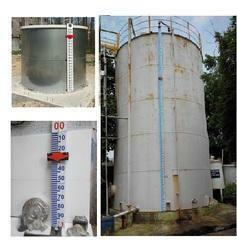 At our unit, our professionals manufacture the meter by adhering to industry norms. They also make sure to use quality materials and approved components for manufacturing the transmitter. Once the transmitter is ready for operation, our engineers ensure by opting strict quality checks so that the transmitter offers reliability and high performance to the clients. Furthermore, clients can opt for custom design and compact design according to business requirements. 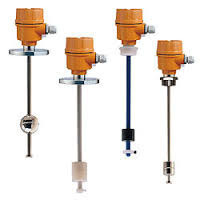 With phenomenal market understanding, we are able to introduce an extensive range of Level Transmitter. The transmitter finds wide application use in various industrial domains. The offered transmitter is developed in accordance to industry norms and quality parameters. In the offered transmitters, our professionals use the approved material during the manufacturing process. In addition, this transmitter can be built and developed according to the specification provided by the clients. Furthermore, our professionals opt for strict quality inspection made on the transmitters to ensure high performance. 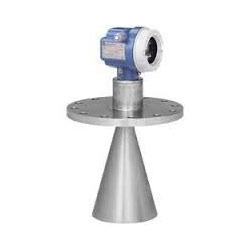 To cater the variegated demands of our prestigious clients, we are highly engrossed in providing a wide range of Radar Level Transmitter. Our offered transmitter is precisely manufactured using the modern technology. The provided transmitter is highly appreciated by our clients for its optimum measurement accuracy and long operational life. Furthermore, to avoid any flaws, the offered transmitter is strictly tested by our skilled quality experts on various quality parameters. Frequency- 6 GHz to 78 GHz.